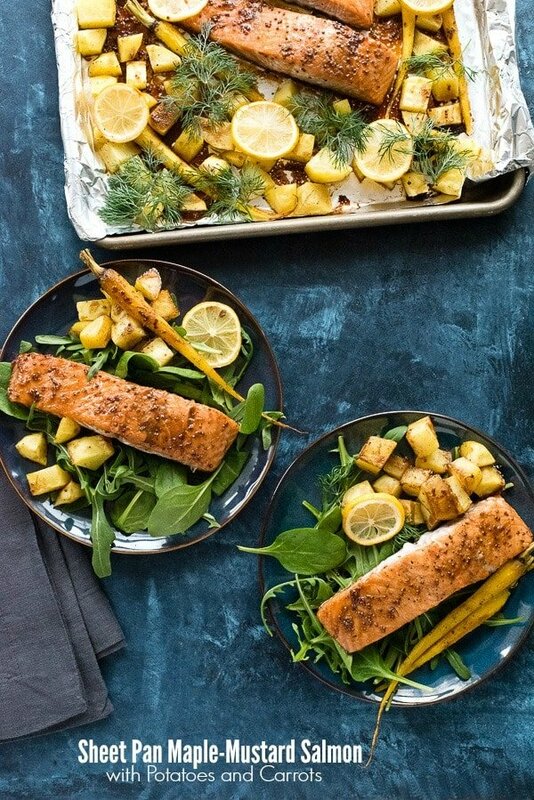 Sheet Pan Maple-Mustard Salmon with Roasted Potatoes and Carrots is the easiest sheet pan meal ever, ready in under an hour. Whether serving company or wanting something easy and fun mid-week, this is the recipe. Gluten-free. 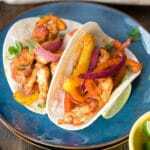 Last week I shared a delicious Fast and Easy Sheet Pan Chicken Fajita recipe along with my current passion for more delicious, fast, one pan/one pot recipes! 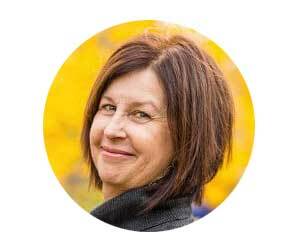 I heard from so many of you that you too are dying to have more! Well here we go! 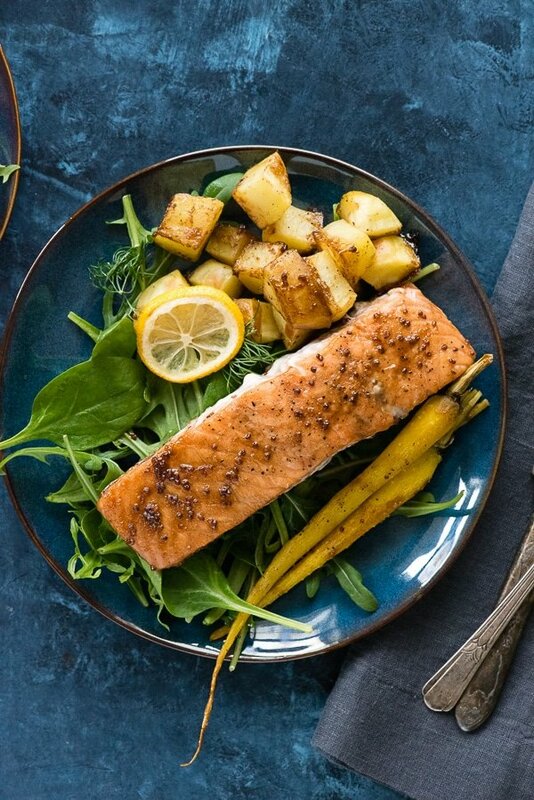 Sheet Pan Maple-Mustard Salmon with Potatoes and Carrots. It’s delicious, it’s beautiful and it’s f.a.s.t.! 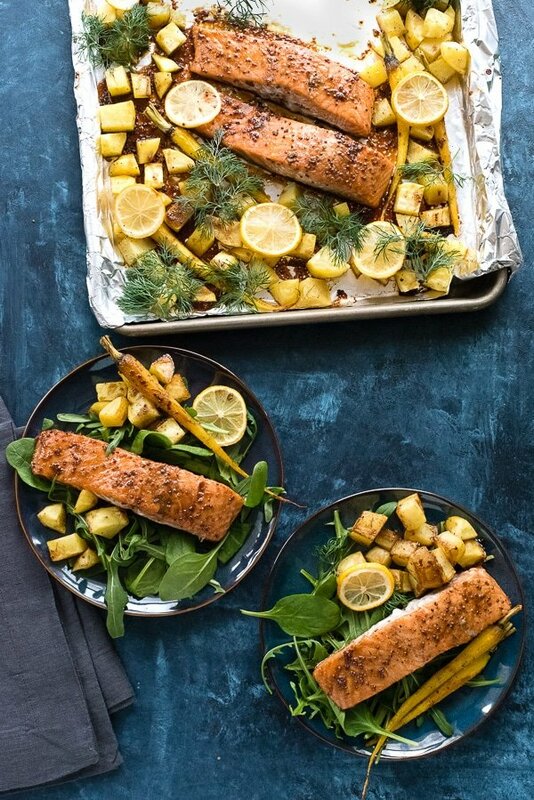 For a fast and interesting dinner this Sheet Pan Maple-Mustard Salmon recipe with Roasted Potatoes and Carrots is great for a crowd or and easy weeknight meal. 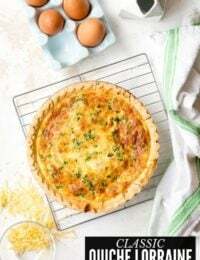 Mouthwatering flavors and beautiful colors define this dish which is ready in less than an hour (with little work for you!). 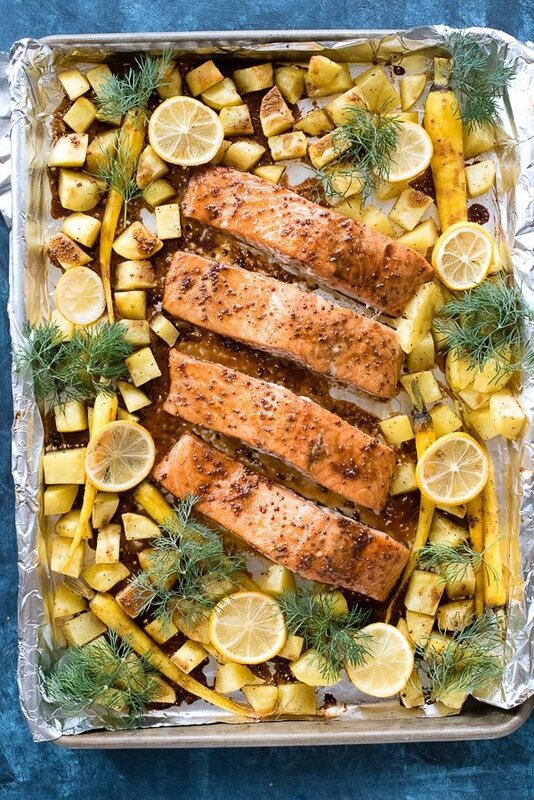 Look how easy this Sheet Pan Maple-Mustard Salmon is to make! I really like salmon as does my family. Being inland the idea of fish doesn’t pop to mind as much as some other proteins but every time we have it we love it. Salmon is a fast fish to cook and does not dry out as some other leaner fish can. Pan Seared Salmon with Capers and Lemon and Salmon Tostadas are two of my FAVorite salmon recipes. 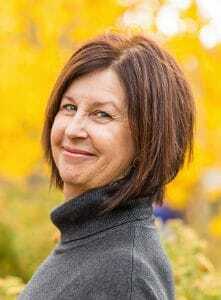 The latter was shared form the chef at El Tovar, the famous restaurant at the Grand Canyon. 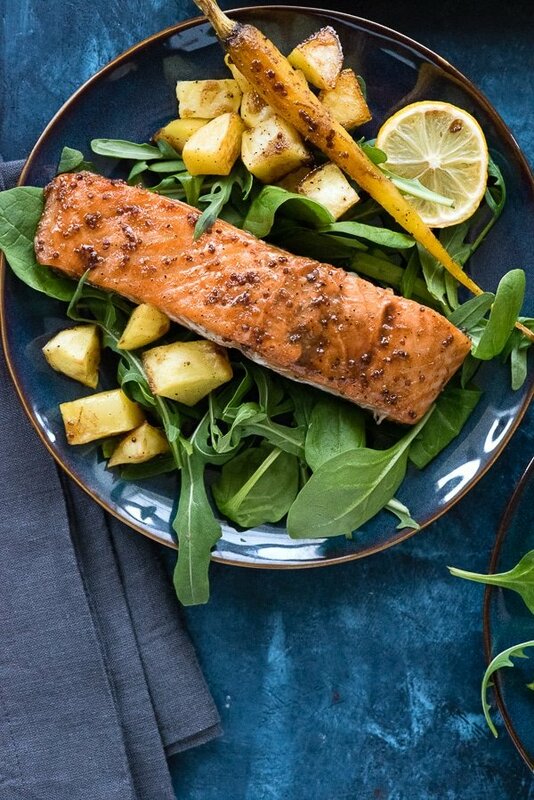 Salmon is a perfect sheet pan protein because it cooks quickly and can be co-cooked with vegetables to create a wonderful meal quickly. 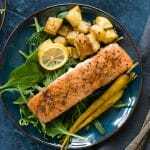 With this Sheet Pan Maple-Mustard Salmon with Roasted Potato and Carrot recipe the salmon is marinated (in THE most delicious marinade) while the potatoes and carrots begin to roast. 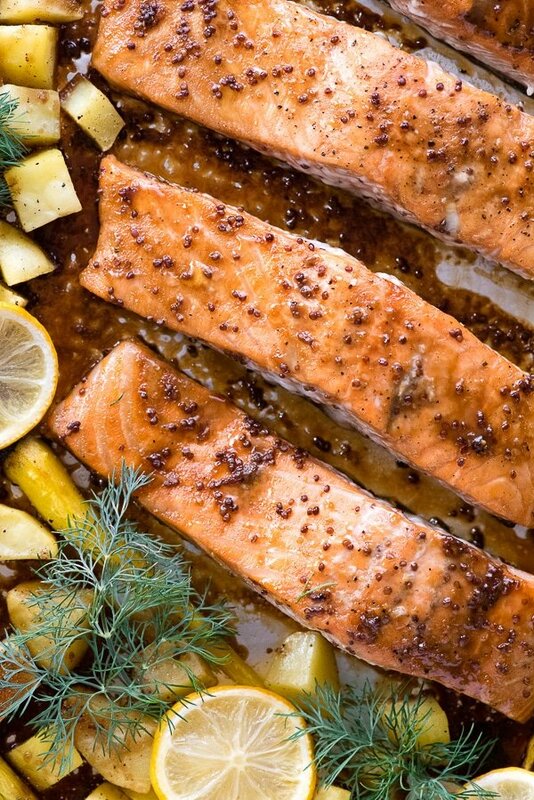 The salmon only needs to marinate 20 minutes which is fantastic. I need to touch on the marinade because I would drink it from a straw it’s so good. A blend of maple syrup, Dijon mustards, balsamic vinegar and Tamari (or regular soy sauce if you are not gluten-free). 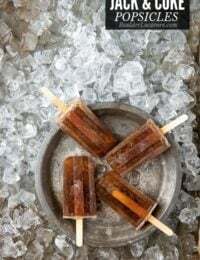 It is a perfect blend of sweet, tangy and a bit salty. 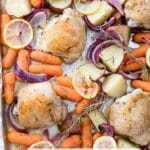 When the salmon is added to the sheet pan the marinade can be drizzled on the potatoes and carrots which is heavenly. 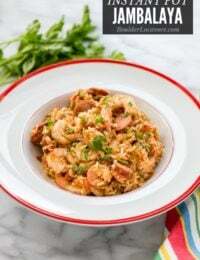 The Easiest Dinner Recipe EVER! 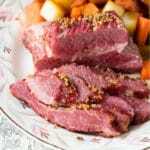 The main effort from you in preparing this recipe is peeling Yukon Gold potatoes and small carrots for roasting. With a great vegetable peeler, that task is a whiz. The vegetables are tossed with olive oil, salt and pepper and roasted, flipped when the salmon is added and everything is done at once! 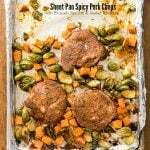 Because you ask, this is the sheet pan I use (and love!). I added the salmon to a bed of baby arugula and spinach. The juices from the salmon and the glaze were enough to flavor the greens making a new favorite (fast) dinner recipe! Preheat the oven to 425 degrees. Cover a large rimmed baking pan with foil, dull side up. Spray with non-stick spray. Combine the salt and pepper into a small bowl and mix. Begin to marinate the salmon 5 minutes before putting the vegetables in in the oven (step 3 below) Whisk together the maple syrup, mustards, vinegar and tamari and pour into a gallon zipper-close plastic bag (alternatively you can add the ingredient to the bag, seal and shake to fully blend). Lightly salt and pepper the fillets (not the skin side) using some of the combined salt and pepper, and add them gently to the bag with the marinade. 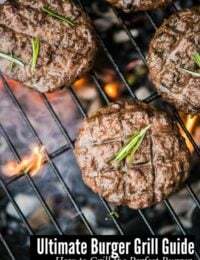 Place the bag on its side on a large dinner plate and arrange the fillets sides by side, squeeze out the air and seal. After 10 minutes turn the bag over. Salmon will marinate 20 minutes total. In a large mixing bowl combine the potatoes and carrots. Drizzle with the olive oil and the remaining salt and pepper. Toss with hands to evenly coat with oil, salt and pepper and spread evenly on the prepared sheet pan. Cook for 15 minutes. After 15 minutes, remove the sheet pan from the oven, flip the vegetables and move to the sides creating space for the salmon fillets. Remove the fillets from the marinade and place skin side down on the sheet pan. Spoon some of the marinade on the tops of the fillets and the rest over the potatoes and carrots (if desired). Cook 20 minutes. 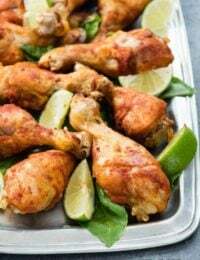 Remove from oven and serve on a bed of greens. Omyyy! I love Salmon dishes! this looks very unique and delicious! for how it looks i like it very much!! 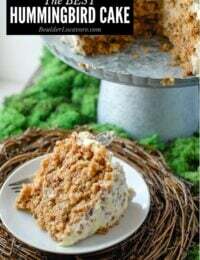 i will chck out the recipe!